Any application that utilizes web browsers and web technology to perform tasks is considered a web application. It is becoming increasingly common for businesses to either use web apps for establishing quick and interactive engagement with their target market or to provide the software as a service by charging for access to the web application on a subscription basis or a flat-fee basis. Due to the increasing penetration and usage of internet, web applications have become one of the most common forms applications. 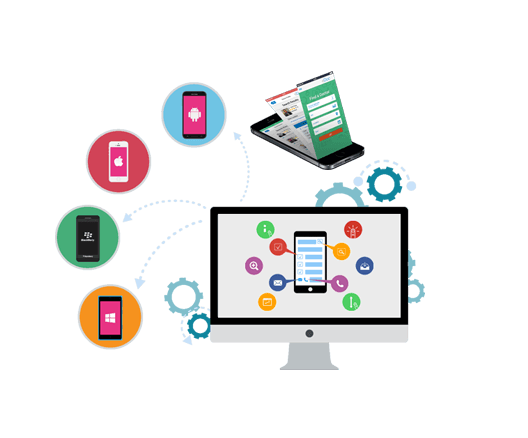 Benefits of using web applications include the fact that they run on multiple OS or device and that all users will always have the latest version of the software. The main difference web application or web app and a website is that a web application is a software that is based on the web such as an email application, a chat application or any other software as a service application. Web applications also lower the chances of people using pirated versions of the software as it is almost impossible to pirate a web application and distribute it. Developing a web application requires significantly fewer resources and time than creating a desktop application and allows businesses to save up on the cost of developing their application. Everyone will always use the latest version. With web applications, the business does not have to worry about users using outdated versions of their software as everyone will always be on the latest version of the web application. This allows mitigating a lot of compatibility issues and rolling out of updates easier for the business. Doesn’t take up the precious space of the user’s local disk. Web applications are meant to run on the browser and thus, do not require any kind of installing and hence, they do not require any space on the user’s local disk. By providing the user all the benefits of the application without hogging up any of their local resources is one of the main reasons why web applications have soared in popularity. It runs on every operating system and device! One of the most attractive things about web applications is the fact that they can run on any device running any operating systems, as long as the browser has the ability to run the web application. This allows the business to reduce the costs and resources used while developing the application as the questions of cross-compatibility doesn’t exist and the developmental process is centered around creating a really great web application that runs everywhere. The architecture of a web application refers to the interactions between the different layers of the application as in the application layer, the middleware system, and the database layer. The architecture involves all the sub-components and also all the external application interchanges for an entire software application. When developing a web application, it is very important to carefully construct the architecture of the web application as it has a large impact on the future growth of the application. The Web Application Architecture should be made keeping in mind the future needs that the application might need. Worked on more than 50+ web apps we know in and out of web application development. After understanding the working and needs of your business, we’ll help reduce marketing and technical risks across the entire development cycle. We’ll find the right technology for your project and validate the concept of the web application. We believe in creating visually-rich and functional front-end design while keeping in mind the UI and UX needs of the project and fulfilling them perfectly. We work hard to make our designs simple but elegant while providing the maximum functionality. QA is an important part of developing an application and all our applications are thoroughly tested, manually and automated, before they are released which ensures that the final version is as flawless as possible and with as fewer bugs as possible. 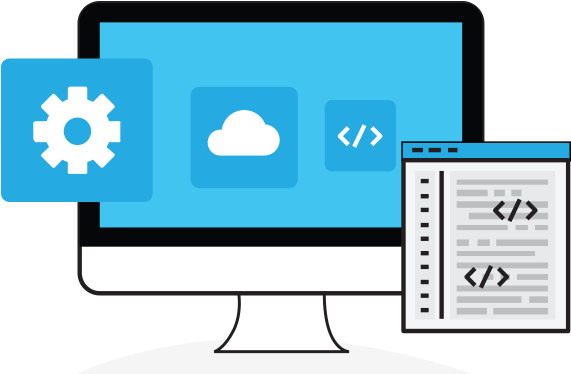 Our back-end development services include carefully crafting the system that’ll run your web application’s core back-end systems. With a focus on following the aptest architecture for your web application, we make sure the backend systems we design will be efficient, smart and secure. If your business is thinking about creating a web application for either engaging with your customers easily and cheaply or for creating a SaaS system, you are not alone. A lot of businesses find web applications appealing due to a number of benefits provided by them that traditional forms of software just cannot compete with. Aside from cross-system compatibility, web applications allow your consumers/users to reach the software from anywhere in the world with any device. As the penetration of internet is only going to increase, investing in creating a nicely made web application is a great idea keeping in mind the future and current needs of the end-users while reducing the costs of development and resources spent in the development cycle. Hire us for your web application needs! We value professionalism and delivering high-quality products that’ll satisfy every requirement of your web application project. Contact us and we’ll find a plan for creating the dream web application for your business.